Do you need new bollards ? Let Rusling help. We replace hundreds of damaged bollards every year. 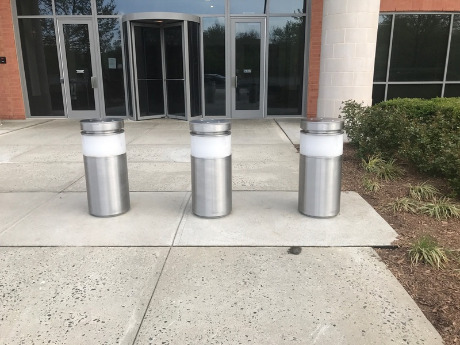 Whether it’s removing and replacing a damaged bollard or adding new ones for pedestrian safety or to protect a vulnerable area, we have the capability, equipment and experience to handle it. ​Rusling installs a line of crash barriers ( k-8 or k-12 ). 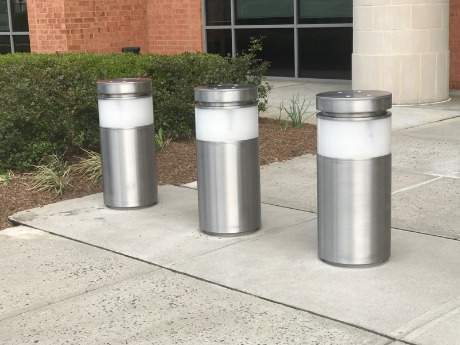 Delta manufacturing supplies one of the strongest, highest quality bollards on the market today. These perimeter security solutions are designed to protect a commercial property, government installation or military installation from unintentional vehicle collisions and vehicle-based attacks. They also are perfect for protecting people in restaurants with outdoor seating as well as retail stores that face parking areas or traffic lanes.